Lickable shiny. Just … keep your tongue away from mine, okay? The announcement this week of Apple’s new range of iPhones has generated some new and some standard complaints from pundits. For the new top-of-the-line iPhone 5s, the complaint is that it’s not all that different from the previous model. For the new midrange 5c, it’s that it isn’t a cheap iPhone. Oh, and the colourful plastic shells look tacky. To deal briefly with the 5s: yes, it’s a speedbump. Everyone saw that one coming. However, initial reports suggest that it’s a substantial speed bump, and there are new and useful features in the form of an improved camera, an intriguing standalone motion detection chip and the much-discussed fingerprint sensor. Perhaps most importantly, it shifts the iPhone towards 64-bit computing, providing some decent futureproofing. I’m not going to comment on the looks of the 5c until I have one in hand, other than to note that those who have handled them seem to have come away impressed. The issue of whether the 5c is too expensive to work for Apple as a “cheap” iPhone is the more interesting question, and it’s one where most critics (including the perennially misled markets) seem to have missed the point. For all the talk of a “cheap” iPhone prior to the arrival of the 5c, Apple doesn’t do cheap, certainly not since the second coming of Steve Jobs. Its products tend to fit between “premium” and “affordable luxury”, depending on how you view those scales. In that sense, the 5c has been positioned as a “midrange” iPhone, fitting just beneath the new 5s. Except that doesn’t tell the entire story either. Up until now, Apple had only one model of iPhone: the new iPhone. (It also sold last year’s new iPhone, and the previous year’s new iPhone too.) Selling older iPhones alongside the new model allowed Apple to leverage investments in manufacturing and economies of scale, but those old iPhones always felt a little second-hand. With the release of the 5s, Apple has doubled the breadth of its new-iPhone product line in a stroke, giving consumers a choice much more appealing than one between the “new shiny” and the “old shiny that you can actually afford.” Relatively expensive the 5c may be, but to balance that it’s still a fully capable smartphone, in a brand new form factor that offers a splash of colour never seen on iPhones before. Yes, an old-new iPhone still remains on the product list, in the form of the 4s, but I’m not sure that’ll last even a year. With two lines of iPhones above it, both using the iPhone 5 form factor and manufacturing lines, Apple is going to be shifting as quickly as it can to focus solely on these products. Improved manufacturing techniques and greater output lead to economies of scale and enhanced margins for Apple—or lower prices. Because that’s really the thing with the 5s. Once the 4s goes, it becomes the new baseline for the iPhone line, and while it will never be “cheap”, I can see Apple cutting its price by €100 or so in about six months, making it even more price-competitive with Android smartphones. After that, Apple suddenly has two product lines to work with—the “top-end iPhone” for those who want the latest and best iOS device, and the “iPhone for everybody” who wants an iPhone device but doesn’t want to break the bank for the latest and greatest. What the 5c means is that the latter group no longer has to see themselves as buying last year’s cast-offs. 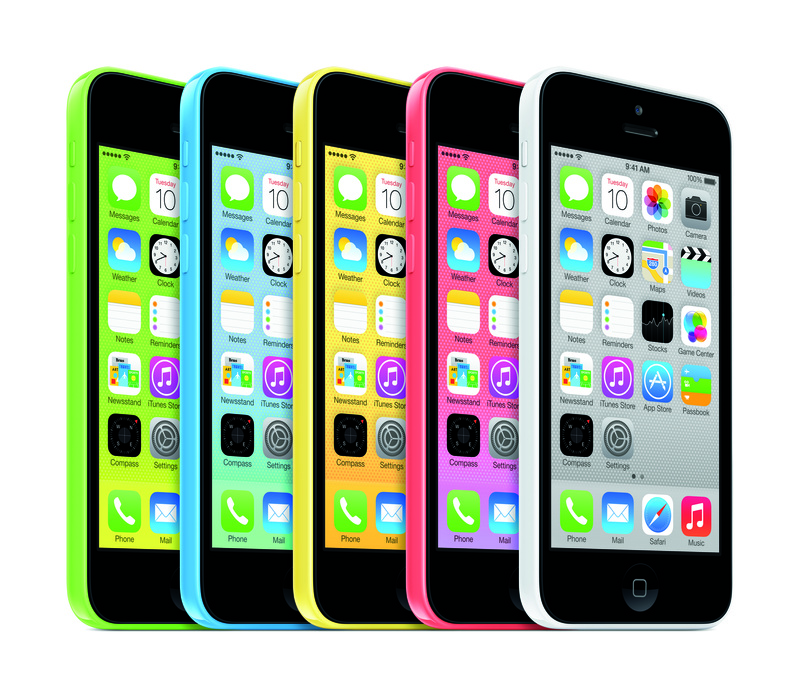 The 5c isn’t about what it is now, as much as it might sell on its release. It’s about what it’s going to be a year from now. Because Apple always plays the long game, and it’s just shifted the iPhone baseline.